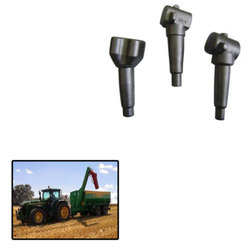 Prominent & Leading Manufacturer from Ludhiana, we offer stub axle for tractor. Holding a top position in manufacturing and supplying Stub Axle for Tractor. To our customers, we offer the best quality item. Being front get together suspension segment, these are broadly utilized as a part of car applications. These axles are known for their ideal execution even in long run. The item is erosion safe and is exceptionally solid. Our offered item is dependable as well as has smooth completion.